This package would suit all ages. This package is also great for young and older babies’ helping them to feel secure when moving from cot to bed, help with feeding to sleep challenges, frequent night crying, moving to a new room or struggling with being left to sleep alone. 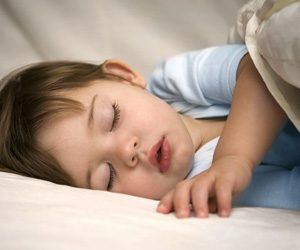 The majority of parents see a huge difference to their child’s sleep by night 5-7 or sooner. I have been trained in responsive feeding , solution focused support and Brazelton Newborn Observation training (NBO). This valuable NBO research, analyses your babies’ needs, sleep and capacities which supports them in growth and development. A telephone consultation to listen, assess and discuss your babies sleep difficulties with recommendations. A personalised step by step, night by night sleep plan created and tailored specifically to your child’s needs. 4 review/support follow up calls or emails ( no time limit). Ongoing support provided for up to 4 weeks. More telephone consultations can be purchased at a discounted rate if needed. Purchase Price £295 Sleep, Feeding and behaviour packages. This sleep, feeding or behaviour package will be fully comprehensive. This package would suit children finding it hard adjusting to a new sibling, separation anxiety, ongoing behaviour or feeding challenges and anxiety, associatiated with bedtime. I will analyse all aspects of your child’s daily activities, weaning, feeding, environmental factors and naps, to understand and find the appropriate solutions. This package will throughily support you with extensive telephone consultations/email support. A personalised indepth and comprehensive sleep, feeding and behaviour plan that will be created and tailored to your child’s needs. 6 review/support follow up consultations by either email or telephone with no time limit. Ongoing support provided for up to 6 weeks. Telephone Consultation plus follow up summary email. £60 for a 30 minute telephone consultation and a follow up guidance email for your reference. This package is great value for money when you need some quick directions and guidance for sleep, feeding or behaviour challenges. Top up consultations can be purchased in this package, and can be used within 2 months of the initial consultation. Discounts are available for returning clients and siblings. I will return your contact within 24hrs. Developmental milestones, responsiveness and sleep.